We Be Reading: Happy Earth Day! There are so many fantastic bookish ways to celebrate Earth Day with the children around you. Here are a few of the books that you might catch us reading today. We might be learning about a specific ecological problem like habitat loss with Bluebird Finds a Home . This picture book, written by Ryan Jacobson and illustrated by Joel Siebel, features the Nature Squad, a group of animals and a park ranger that help a bluebird who has no place to rest when the trees that he used for nesting in are cut down. This book has a lot of great messages about ways to protect nature in both obvious ways (picking up litter) and not so obvious ones (leaving dead trees for shelter). It also explains why habitats for one species of an animal aren't suitable for all the different species. At the end there are even instructions for building a simple nest box and some conservation tips for kids. Making conservation and care for wildlife a part of a child's every day routine is an investment in the future of the planet. You might also see us learning about one of our favorite scientists and environmentalist role models with the stunning Manfish: A Story of Jacques Cousteau , with text by Jennifer Berne and illustrated by Eric Puybaret. This is a wonderful book that connects the childhood of an inquisitive and intelligent boy with an adulthood that seems almost unreal in its productivity and influence. This book highlights Cousteau's ingenious inventions, his prowess with a video camera and his desire to use his newly-found knowledge for the benefit of the planet. We never seem to tire of picture books about Cousteau. 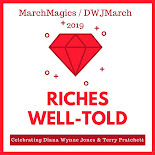 Each new author and artist pair brings him to life in a different way. Puybaret's soft colors and imaginative layouts are wonderful. And Cousteau is the perfect example for children of how to take a childhood interest from daydreams to a productive career, whether it be as a scientist or anything else. We could be learning about the beauty of nature's creatures with Fabulous Fluttering Tropical Butterflies . 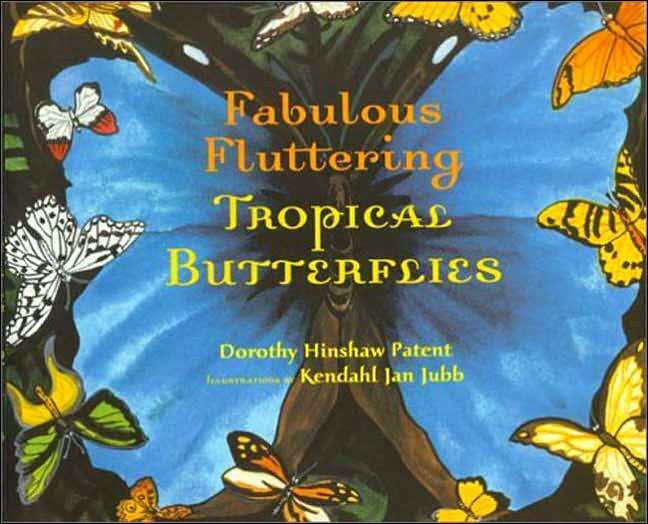 With beautiful bright artwork by Kendahl Jan Jubb and words by Dorothy Hinshaw Patent, this book celebrates some of the most beautiful butterflies in the world and their caterpillars. With flowery prose, this picture book is packed with facts about these delicate insects. Our local science center has a butterfly house and we love going in the warm, misty room and seeing all of the creatures as they fly from plant to plant, sometimes landing on the shoulder of one of the visitors. Pairing books with real-life adventures is a wonderful way to make learning fun and relevant. But it's just as likely that you will find us enjoying I Wonder Why Penguins Can't Fly by Pat Jacobs and filling our brains with knowledge about places that we many never get to visit but still should care about. This is a great collection of facts about the North and South Poles and the plants and creatures that live there. With the answers to questions like "Were the poles always frozen?" and "Are there any polar plants?" there's a lot that even I didn't know in this book. Sometimes it's easy to ignore places that are far away but in order to preserve nature's balance, we need to take care of places both near and far. Familiarity with these places makes it harder to ignore the unique ecosystems and their inhabitants. Visit Earthday.org for more ideas on how to celebrate this unique day. This year's focus is "A Billion Acts of Green". Support our site and buy Nature Squad: Bluebird Finds a Home , Manfish: A Story of Jacques Cousteau , Fabulous Fluttering Tropical Butterflies and I Wonder Why Penguins Can't Fly on Amazon or find them at your local library. We borrowed some of these books from the library and received some for review. Happy Earth Day to you too. Nice and sunny here. Hope u had a nice birthday as well. I love the looks of those sweet kids books. Great choices. You are my go to source for kids books!